Whenever I import a player onto another it doesn't upload its attributes and then it doesn't let me change its nationality after importing either... is there a fix? There are many minor issues i have found and few major ones. Besides importing player profiles... 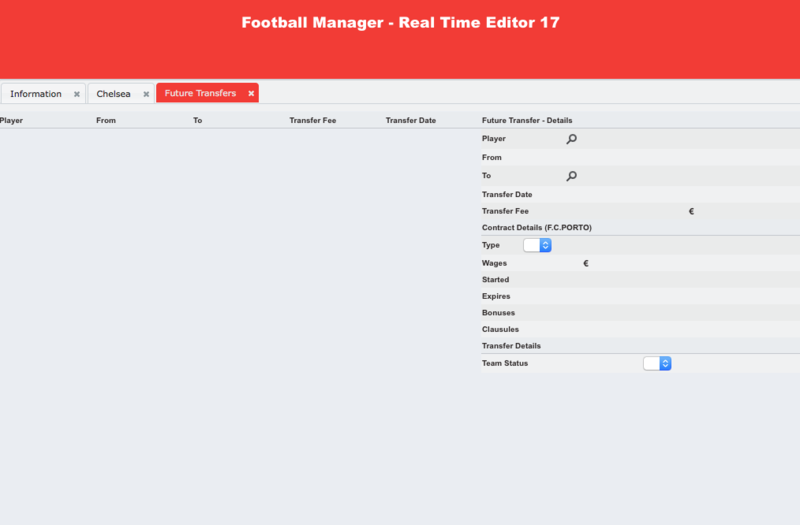 I can't see any future transfers on the tool AND the ages of all players don't match from the game and iFMRTE... some nationalities don't match too. "ERROR Saving the following attributes: pNation=5497168440"
Okay thanks BraCa. Sorry for the multiple issues posted here.